Homeowners and businesses alike need to keep their walkways & sidewalks as clear as possible from tripping hazards. If your sidewalk looks like this - call 877-365-0097 today! We will come out and provide you with a free estimate for concrete lifting using PolyLevel foam injection! Zak G. from Chanhassen reached out to Innovative Basement Systems to see what could be done about an approximte 28 foot long crack in this driveway. System design specialist, Jeremy Olson, met with Zak and inspected the concrete. Recommendations were made to simply seal the join with NexusPro Joint Sealant. We also injected PolyLevel foam along his sidewalk to correct the inward slant towards his home. Call 877-365-0097 to schedule your FREE estimate today! I am a Real Estate agent and I need someone to email me so I can email you a report from a structural engineer. I need a bid on a property in Chanhassen by 12pm tomorrow. Front entry way has sunk over the years. Our basement back wall is caving inward. one block is atleast a quarter turn and the second course of block has been pushed inward atleast 1-2 inches. Screened in porch footings possibly sinking and causing the porch posts to skew out of plumb. I have a basement with no drain tile on the outside and landscaping issues. no matter how we have tried to fix the landscaping it leaks every time. Need a guaranteed solution so I can refinish basement. Please email or text. Thank you! Cracks in concrete slab of residential home. Apprpx. 400 sq ft. Need to level to be able to lay new laminate floors. I have a sump pump now with battery back up. However, I'm concerned that the pipe isn't discharging properly or our sump basket isn't correct as it runs frequently. 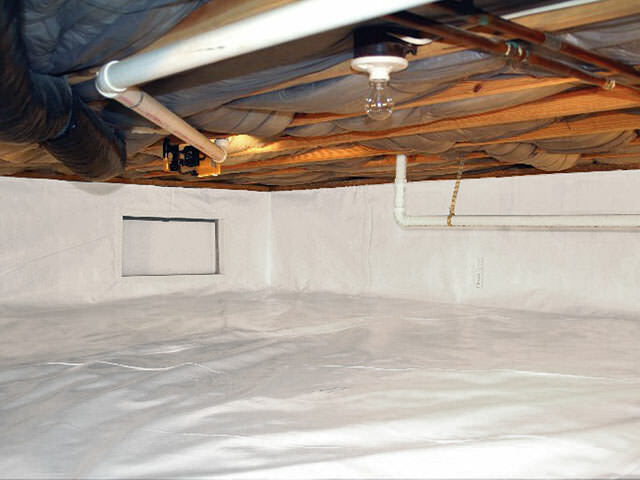 We already had a basement flood last year due to sump failure and want to do everything possible to avoid it again. I have side walk that need to be evened out. It has sunk in parts. Also have a spot in the garage foundation that needs to be filled. It is by the edge of the garage door. I don't think it is structural, but can cause animals to find a home. I also have patio with pavers that might need some raising. Not sure if you do that also. We have had water in basement storage room - a cracked sump pump pipe, and ice between pump and outside. does your company repair pipes as well as fix the water damage? the insulation got wet on the outside wall. We have some water in our basement - wet carpet, etc... In addition, I am noticing some yellow/browns streaks running down the foundation on the outside of our house in about the same location. Due to high energy bills for cooling and heating their home, homeowners in Chanhassen, MN knew something had to be done. After contacting Innovative, they learned about the benefits of air sealing a home. Through further discussion with a system design specialist, they decided on insulating their attic as well. With a non-insulated attic, the homeowners were losing conditioned air to extremely hot/intensely cool space. To air seal their home, the TEAM used spray foam insulation in the basement and crawlspace floor joists. They then used cellulose insulation for the attic of the home. 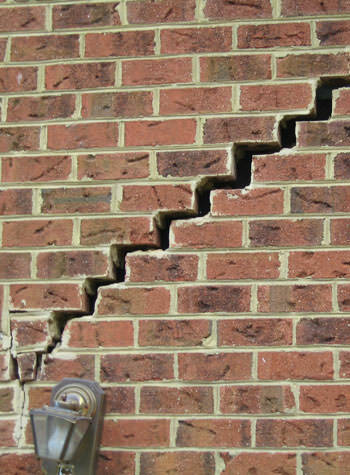 Settling cracks are getting worse on top level. 1964 home with 1300 sq ft footprint with walk-out basement with frost heave issues. Horizontal cracks along entire concrete block back wall. One corner has a stair-step crack. The other corner is in the tuck under garage, and the entire corner has shifted into the garage 1-2". Would like to reinforce majority of 40ft back wall to prevent further bowing, and likely rebuild the corner that has shifted. I have a 3 car garage floor that has sunk about 2-3 inches about 8 ft from the front of the garage.. It is acting like a bowl so my garage door needs to be closed when it rains and I am worried that once winter comes, all the snow from my car will just collect there. I contacted a local mud jacking company and he seemed to think it would be better to just replace it. I would rather not have to go that far if I can help it. I don't care about the looks so much, but the water puddling will be a problem. I am wondering if the polylevel injecting would be a better alternative due to it lighter weight and the need for less holes. I need a room in my basement finished off. Drop tile ceiling, new wall framed and entire room sheet rocked. Small 3x4 slab of concrete that has dropped 2 inches in the corner. I have a pump that runs quite a bit during the summer and it is getting older and i would like to replace it. I also am interested in a backup sump system. The sidewalk leading up to our front steps has sunk by a few inches. We are hoping to have it raised before it breaks. Thank you! With heavy rains water comes down between the sheetrock and the walls in some areas of the basement. We had water in our basement and need to have a drain tile system installed. I'd like a quote ASAP. Thanks!